In a few weeks, Dabs of Naija Hair Can Grow, and Savvy & Chic Beauty Hair Hub is putting another edition of Salon Day Out (click here for more information). It happens on Sunday, June 7th at Oriental Hotel from 11am until about 5pm maybe. A brief rundown of the day's program is below. 12PM: Hair Journey Series - this is a panel discussion from different hair bloggers (natural, texlaxed, relaxed, etc), and they will be open to questions from the audience. 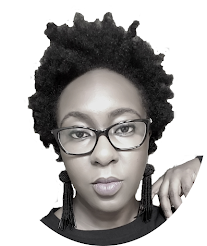 Atilola who owns/runs African Naturalistas recently got certified as a Trichologist, and I'm really proud of her and to be part of the AN Team. 4PM: Battle of the Hairlistas (which is the main point of this post). This should be fun and will feature a competition of 2 Teams of not more than 5 people each. They will be given different tasks to complete using Design Essentials products (tasks like styling, routine maintenance, etc). The winning team will win over N100,000 worth of products, and a cash prize as well! 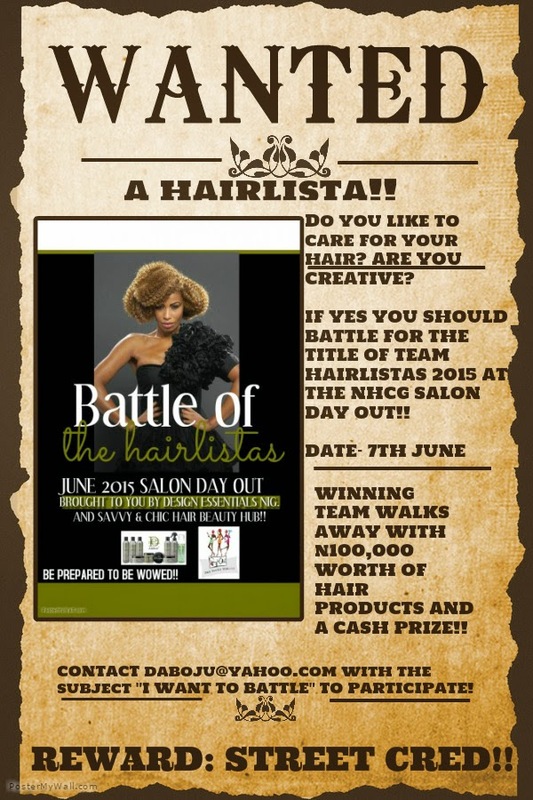 The teams are open to people with different hair textures and types, so if you like/enjoy hair care, sign up by emailing Daboju@yahoo.com with the subject line: I WANT TO BATTLE, before May 20th. Don't forget, if you need more information visit Dab's blog. BTW, I'm thinking about sponsoring 2 tickets to the event (tickets are N500 vouchers which you can use to buy products at the Savvy Chic stand/salon). What say you? Berry is the ticket N500? I want to go. Pick me for a winner. See how i helped you make up your mind to sponsor tickets. I want to enter the contest, but i am not too great at styling and i have only been natural 11 months and have refused to big chop as i swear my hair isnt growing. I dont know if thats being fraudulent or not. Yay! I am having a party right now. Yay. I won i won i won. my new growth is actually about 6 or 7 inches, i just dont know what to do with hair that short since its a floppy mess and not a nice afro. Berry buy ticket for me na. Don't you want me to learn how to style my hair. Ooh yes im a naturalista oo. Sniff sniff. Okay, I said only 2. But I like your blog header, so you're covered too. Haa, this one that you are buying for everyone, you must buy for me too o. Great post sorry can't be there. Yyyy!!!! You always give out the goddies b4 I arrive. Im sad. There are one or two meetups yearly in Abuja. 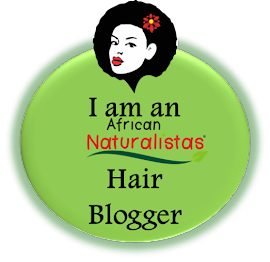 Check naturalnigerian.com for updates. Sounds like great fun. Hope u all enjoy your day...... Dabs - please use Berry for the faux locs demo!! Pretty please?!?!?!? Lol! !